Small to medium entrepreneurs often choose to cut down on operational expenses. Rather than spending large chunks of a limited budget on operation alone, they opt for using the money on others costs related to expanding the business itself. It may seem like a wise move, but to fully emit operational costs is a fantasy, and the best anyone can do is reduction through money and time-saving methods. 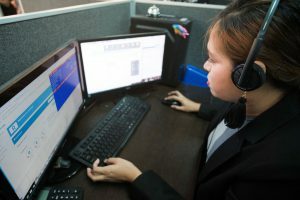 Hiring an offshore staff through a BPO company is seen as a common solution to reducing operational costs due to lower wages in other countries. More and more businesses around the world use outsourcing to save money on different aspects of their businesses. It was formally introduced in 1989 when organizations and companies were searching for new approaches in upscaling their businesses. 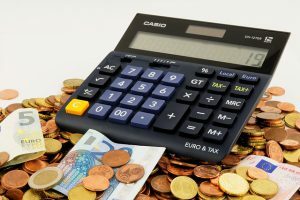 Outsourcing to various parts of the world like the Philippines, Singapore, and India have become popular choices, as the typical cost of living in said countries are lower–hence, you pay cheaper for services without compromising on the quality of output and giving your offshore staff fair wages. Partnering with a BPO company also eliminates extra costs in utilities, as most companies already include a fixed charge for electricity consumption and additional equipment. Hiring an offshore staff to handle business processes also allows you to focus on the core operations of your business, increasing productivity without the hassles of managing a large in-house staff and paying high labour charges. Make it a priority to make sure that you don’t incur penalties for late payments. Try paying your invoices early if you can, that way you can save yourself from headaches and other hassles of not making it on time. Paying on time also attracts potential business partners as it improves your reputation among the services or suppliers you transact with. Paying on time also reduces the risk of incurring lawsuits due to delay, though this mostly happens on larger purchases. In legal terms, once you received an item or service and failed to pay for it on time or according to agreed terms in your contract, it can be used as a ground for a lawsuit. The last thing your business needs is wasting more money on settlements that could have been easily avoided. A quick audit of your records, subscriptions and past instalments will show which services are no longer being used. Most of the time, these subscriptions have been put in auto-pay when you were just starting out on your business and completely slipped out of memory. Small things like a subscription to stock photo sites or paid tools that are now outdated can be easily cut out from your monthly budget in order to save money. You can also opt for services that have a one-time fee or incident-based charging. For example, Shutterstock only charges per picture purchased and other business-based services like Office 365 offers subscriptions that can be cancelled at any time. Aside from Shutterstock, there are also tons of free stock photo sites that let you download royalty free pictures and vectors. The longer you manage your business, the more you notice and learn that there are a lot of cheaper or even free alternatives to the services you used to subscribe to. For example, instead of paying for Adobe’s Creative Cloud when you only need Photoshop, you can just purchase an older version of Photoshop (CS4 or CS5) which do not require a monthly paid subscription. Web hosting services can also cost you a lot per year, and a quick Google search can tell you which sites offer cheaper web hosting or offer lower rates for the same features–you can even score special promos that will further cut down costs on some services. This one is probably already practised by any business owner, but it bears emphasizing. As the proprietor of the organization, any transaction involving money should go through you first. Whether it be small things like buying a new laser pointer for the boardroom or purchasing new computer units, it all has to be pre-approved by you. It can save you a lot of money in the long run when you know what you’re spending it on. Suppose one of your managers proposes that something you don’t have yet is necessary and you must subscribe to it or purchase it, ask if there are alternatives and how important the said service, product, or facility is to the overall good of the company. Try to test out alternatives first before investing in more expensive equipment. It doesn’t necessarily mean that you micro-manage every detail, it’s just eliminating further costs that could have been avoided or purchasing items you don’t really need.